Since its independence in 1991, the Republic of Macedonia has been fighting with neighboring Greece over the country’s name. Add Greece as an interest to stay up to date on the latest Greece news, video, and analysis from ABC News. On Sunday, Macedonia and Greece signed a historic deal aimed at settling the name dispute that has lasted longer than the 14 years it took Alexander the Great to conquer the world. Greek Prime Minister Alexis Tsipras and Macedonian Prime Minister Zoran Zaev gesture before the signing of an accord to settle a long dispute over the former Yugoslav republic’s name in the village of Psarades, in Prespes, Greece, June 17, 2018. If the agreement wins approval in both nations, the former Yugoslav republic will be known as the Republic of North Macedonia. 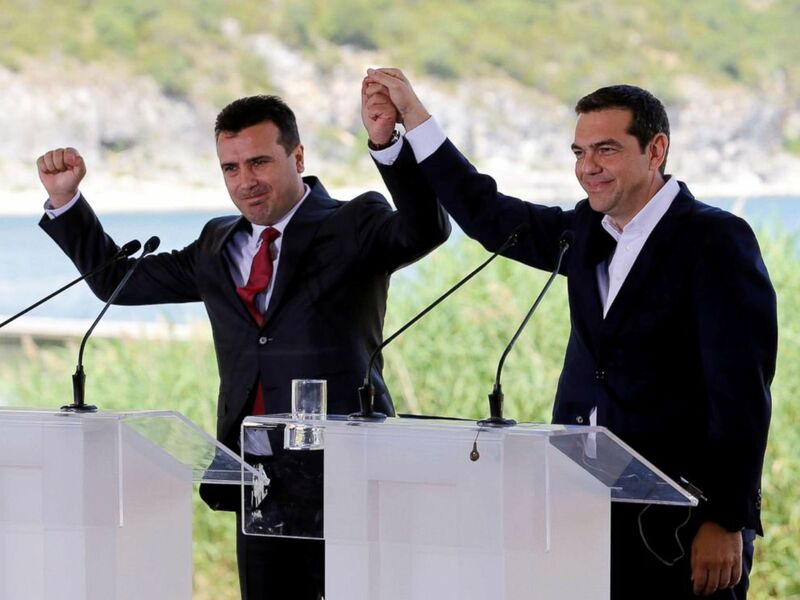 “This is a brave, historic and necessary step for our peoples,” Greek Prime Minister Alexis Tsipras said as he and his Macedonian counterpart, Zoran Zaev, watched their foreign ministers sign the agreement on Lake Prespa, where Greece borders Macedonia. The argument may be one of the strangest disputes in international politics. 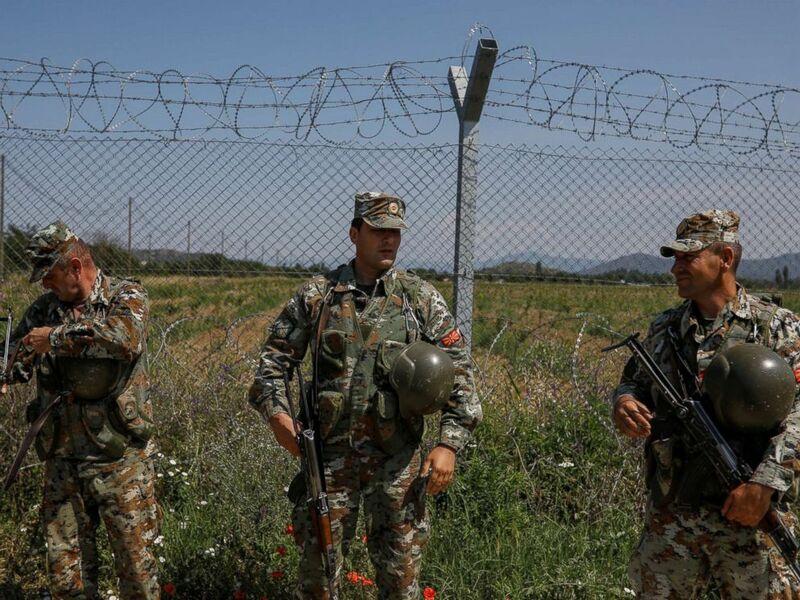 Macedonian soldiers patrol at the Macedonia-Greece border near Gevgelija, Macedonia, June 3, 2018. When Yugoslavia broke into pieces, one region declared itself the Republic of Macedonia. Greece, its southern neighbor, has a northern province called Macedonia that was the cradle of its society during the Alexander the Great era. Greece considers Macedonia a non-negotiable part of its history and because of its objection to the new Balkan country’s name, it refused to let the Republic of Macedonia join either the North Atlantic Treaty Organization (NATO) or the European Union until the name was changed. The Republic of Macedonia got a United Nations seat by agreeing to be called The Former Yugoslav Republic of Macedonia for all official purposes, but this was not meant to be a permanent solution. 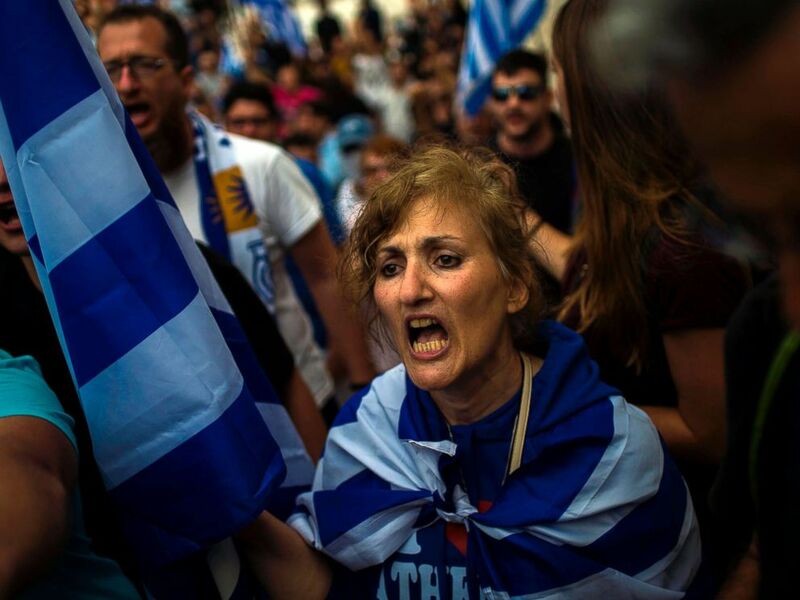 A woman shouts in a demonstration against the agreement reached to resolve a 27-year name row with Macedonia in Athens, Greece, June 16, 2018. The new country argued that it also has a claim to the disputed name. The agreement on the new name, North Macedonia, suggests that neither state has a monopoly on the historic legacy of the region. For the new name to take effect, the Republic of Macedonia’s parliament needs to approve the deal with Greece, followed by a referendum laster his year in which voters will have a say. Also, constitutional changes in the Republic of Macedonia, a key Greek demand, need a two-thirds majority in parliament, which Mr. Zaev does not currently have. After the referendum and constitutional changes in the Republic of Macedonia, Greek parliament needs to ratify the deal — though nationalist and opposition parties have vowed to resist it. In Greece, Tsipras survived a no-confidence vote on June 16 over the deal, with accusations that he made too many concessions. 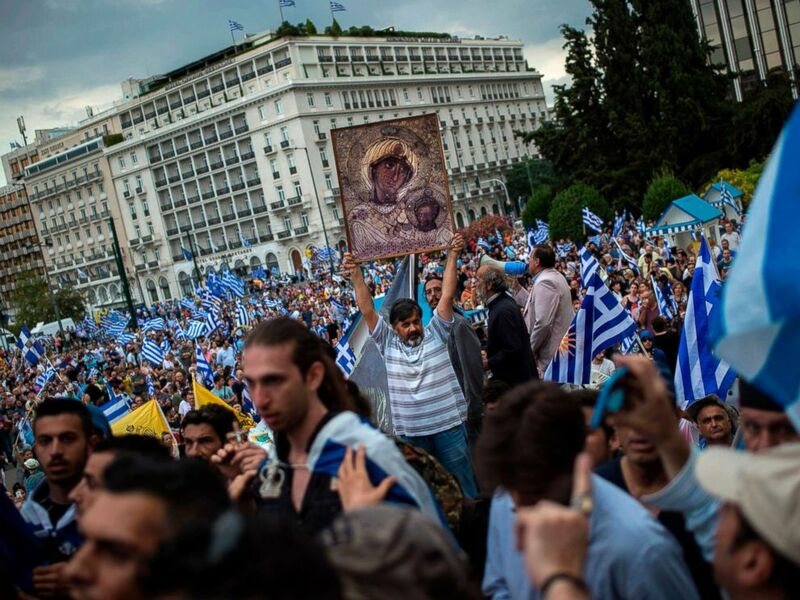 A man holds an icon during a demonstration on June 16, 2018 in Athens, Greece, against the agreement reached to resolve a 27-year name row with Macedonia. As a sign of goodwill, the Republic of Macedonia also agreed to rename huge statues erected in recent years in its capital honoring the ancient warrior kings — Alexander the Great and his father, Filip of Macedon, as well as Alexander’s mother, Olympia. The statues are now to be marked in honor of Greek-North Macedonian friendship, an official of North Macedonia told ABC News.